EnergyONE® is a complete multivitamin and mineral that provides optimal amounts of potent vitamins, minerals, and other antioxidants that are vital for health. 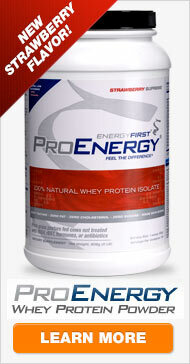 EnergyOne® was designed according to current science using nature’s finest, highest quality ingredients. These essential vitamins and minerals help meet daily requirements and reduce risk of cancer. The individual B vitamins are needed for dozens of metabolic processes, nerve growth and development, and cell maturation. Vitamin D is crucial for preventing early heart disease, boosting immunity, improving bone health, and warding off many cancers. Supplementation of this supervitamin is important, especially in regions where sunlight exposure is limited. 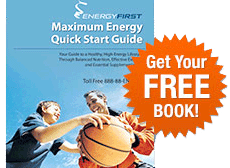 The comprehensive formula in EnergyONE® includes stable, bioavailable forms of vitamins. For example, cyanocobalamin is more stable than other forms of vitamin B12. The same can be said of d-alpha tocopherol and vitamin D3, a more effective form of vitamin E and D, respectively. 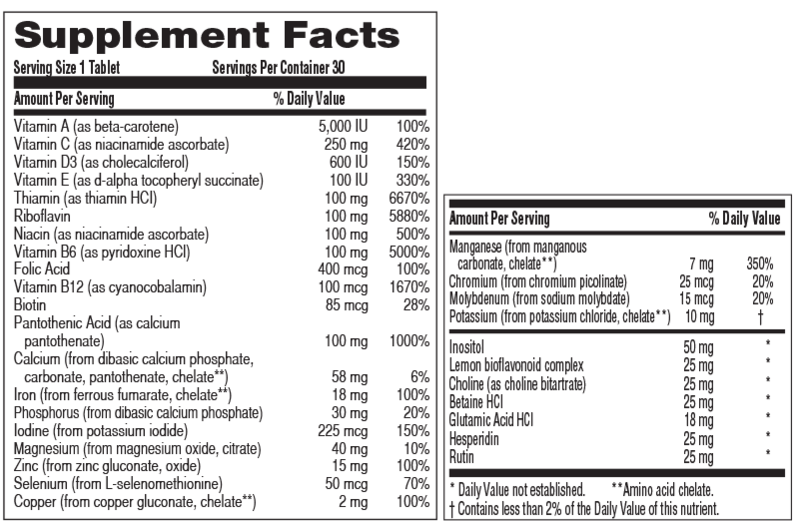 You'll also find phytochemicals in this complete multivitamin. Rutin, for example, is a strong antioxidant that stabilizes vitamin C, has anti-inflammatory properties, and can prevent oxidation of LDL cholesterol (which leads to atherosclerosis). Hesperidin, a citrus bioflavanoid, has been shown to reduce bone loss, improve blood vessel function, and reduce inflammation. This complete mega multivitamin uses trusted sources of chelated minerals for better tolerance and absorption. With optimal potencies of each nutrient, it ensures adequate supply of vital nutrients that help the body grow, develop, and function normally. EnergyONE fills important nutrient gaps and addresses health needs of men and women alike.